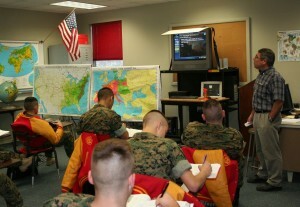 I am often asked my view on what is most important at Marine Military Academy, academics or military training. This is a question that does not have a simple answer as the Academics and Military Departments cannot be separated. The two are linked together in a co-dependent relationship designed to foster an environment where young men can realize their full potential as scholars, citizens, leaders and patriots. The role of academics is to create an environment where young men grow into disciplined, morally strong, college-ready individuals who are prepared for responsible leadership. This forces faculty and staff to break from the current paradigm of education where success is measured by a state mandated standardized test and average daily attendance. The Academics Department does not simply rely on chalkboards, student desks, and textbooks to succeed in our mission. We move beyond hallway banners proclaiming that “All students can succeed!” Faculty model and reinforce the core values which are so successfully introduced to the cadets by the military staff and challenge each cadet to extend their performance beyond the limits of normal students. 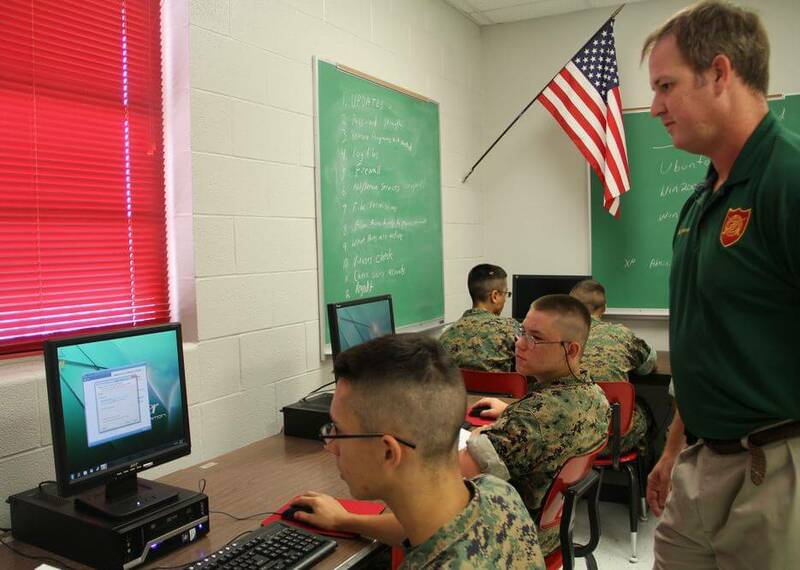 Academics at Marine Military Academy are grounded in the core disciplines of English, Mathematics, Social Science, Science and Foreign Language. All electives available to students outside of these disciplines are focused on skills necessary in today’s work and academic environments. Marine Military Academy cadets are challenged by Advanced Placement courses, Dual Enrollment courses, and required additional study within the core to ensure that they have the knowledge necessary to be successful in any post-secondary environment. Much more important than this knowledge, however, is their complete transformation into responsible learners, informed citizens and practiced leaders. As we are all aware, technology and discovery create new knowledge at a near exponential rate. What is found between the covers of a textbook today is likely incomplete or incorrect by the time it reached publication. Marine Military Academy cadets are prepared to deal with this phenomenon successfully because they have developed within themselves the ability to think, problem solve and convert data into useful information. They do not rely on rote memorization and the recitation of facts to succeed. 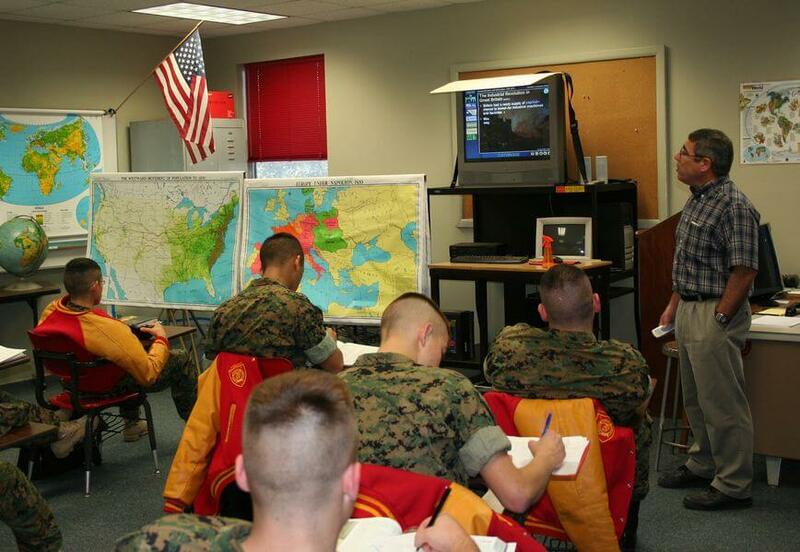 The Marine Military Academy faculty understand that the material presented, the presentations made, and the assignments collected are merely tools for developing those qualities within our cadets required to negotiate a rapidly changing environment and lead those less fortunate in the process. The faculty stand at the front of the class, not as lecturers so often encountered within schools, but as examples of integrity, responsible citizens and leaders. Cadets are not passive vessels in the classroom but an active and integral part of the educational process. 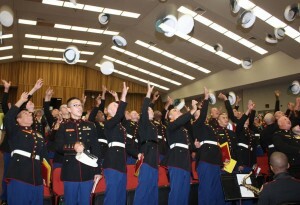 Marine Military Academy cadets take responsibility for themselves and their classmates as they navigate their way to the college of their choice. Dr. John D.Butler has taught Physical Science, Biology, Biology Honors, Physiology & Anatomy and Algebra at Marine Military Academy. He currently serves as the Dean of Academics and Chief Financial Officer. Dr. Butler also works as an adjunct professor at several universities teaching undergraduate and graduate courses in business, educational leadership and curriculum development. Dr. Butler is certified by the Texas State Board of Educator Certification as a Science Composite Teacher, Mid-Management Administrator and Superintendent. The Southern Association of Colleges and Schools has recognized him as an Approved Quality Assurance Review Team Chair. In addition to a Bachelor’s Degree, Dr. Butler has an M. Ed. in Educational Administration from the University of Texas at Brownsville, an M.B.A from the University of Texas Pan American, and an Ed.D. in Curriculum and Instruction from the University of Houston. Dr. Butler served in the U.S. Army in both light and mechanized infantry units in the United States and Europe. He left the Army in October 1990 as a Sergeant but was recalled for active duty to support Operation Desert Storm from January 1991 through March 1991. Dr. Butler currently serves on the boards of directors for Loaves and Fishes of Harlingen, Valley Zoological Society, Marine Military Academy Foundation, Sea Turtle, Inc. and the Harlingen Convention and Visitors Bureau. Check out the Marine Military Academy website and for more information click on the image below to request information.